Hichem Khalfa Quartet just released their new album, Réminiscences, a modern jazz creation that was composed by the group’s trumpet player, Hichem Khalfa. The record was released on March 10, and the quartet’s launch performance will take place at O Patro Vys on March 15. Joining leader and trumpet player Khalfa on stage are Jérôme Beaulieu on keyboards, Jonathan Arseneau on bass and Dave Croteau on drums. Réminiscences differs a lot in sound from the band’s previous album, Histoires Sans Mots. Their music has a modern jazz feel in comparison to their previous songs, “I think I’ve found the right way to change the music so it doesn’t sound like the first album, but it still has my own signature,” Khalfa said. Khalfa has not only changed the instrumentation since the last record, but the line-up of his band as well. Khalfa and Beaulieu are the only two remaining members from the previous album. Khalfa wanted to change things up to bring a different feel to the music.”The electric bass [and] keyboards really changed the sound of the band,” he said. Playing alongside these three musicians is exciting for Khalfa. “The most important thing is that the feeling, the connection between us is great,” he said, “We have good times every time we go on tour, so that’s all I really want,” he said. Following their album release, the band will be touring across Canada and Europe, starting this summer. “We’re going to France in July, then to do a couple shows in New Brunswick, and then Ville Saint-Laurent, and in October we go back to Europe—Belgium, England and maybe France,” said Khalfa. Khalfa is thrilled to tour the world with his friends, doing what they love—playing music. Music is a vehicle for Khalfa to express his innermost thoughts and emotions. “What I want is to play my feelings through the trumpet,” he said. 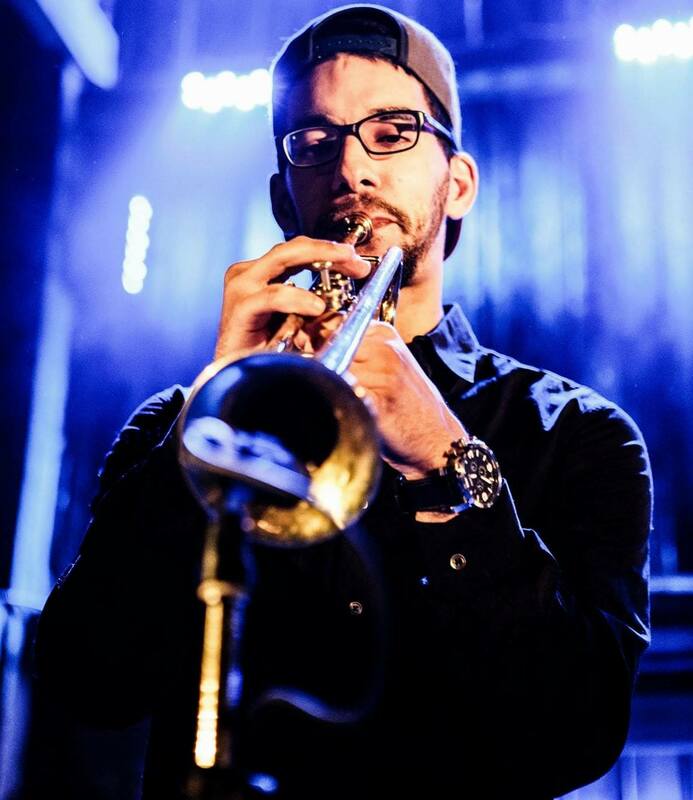 “The main goal for me is to be able to communicate these feelings to other people when I’m playing.” Khalfa picked up his first trumpet when he was seven, and has never wanted to put it down since. “I always wanted to be a musician. I didn’t have any other options,” Khalfa said. Hichem Khalfa Quartet’s latest album, Réminiscences, can be heard live at O Patro Vys from 6 p.m. to 9 p.m. on Wednesday, March 15. Entrance is free, and their album can be purchased on-site after the show.